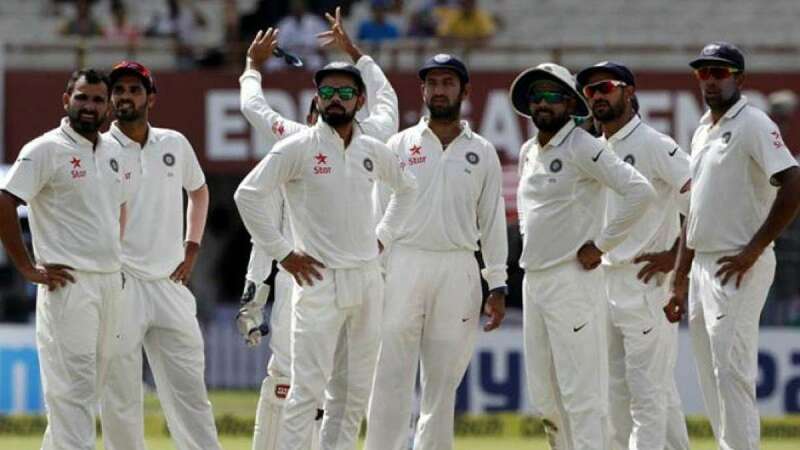 Johannesburg : India will aim to avoid an embarrassing series whitewash and salvage some pride when they meet a confident South Africa in the third and final Test match which starts at the Wanderers Stadium here on Wednesday. In the first two Test matches, India were outplayed in every department of the game. Skipper Virat Kohli also agreed that their opponents were way better. But in the upcoming match, India will like to turn the tables and like to finish the series on a positive note. However, it will not be an easy job for the Indians. With the conditions and pitch favouring the hosts, the visitors may find it tough to survive the full five days. India could witness an archetypal South African wicket -- hard and dry with plenty of bounce -- which often provides lots of seam movement up front. Spinners could also play an important role on the fourth and fifth days, so the inclusion of a tweaker could be helpful in the second innings. In the batting department, apart from Kohli, all the other batsmen have totally failed to step up to the occasion. Some of them are guilty of playing reckless shots -- which would have worked on a slow pitch -- in the first two Tests and coming into the third game, they will have got a measure of the task ahead. The Indian team is full of stroke-makers like Shikhar Dhawan, Virat Kohli, Rohit Sharma and Hardik Pandya. Their attitude of dominating the bowlers with a flurry of strokes will not work in the third match. Instead, they must harness the art of controlling the South African pace quartet by curtailing their habit of going after each and every delivery. Calls for the inclusion of Ajinkya Rahane, known for his quiet approach, instead of fellow Mumbaikar Rohit Sharma have grown over the last few days. It will not be a surprise if either Lokesh Rahul or Rohit sit out, while Parthiv Patel may find himself in the openers' slot. In ther bowling department, seamers Bhuvneshwar Kumar, Jasprit Bumrah, Mohammed Shami and Hardik Pandya, alongwith lone spinner Ravichandran Ashwin played sensibly but the fielding let them down. On the other hand, South Africa will depend upon Dean Elgar, Hashim Amla, AB de Villiers and Faf du Plessis to score the bulk of their runs. Rookie pacers Lungi Ngidi, who was the man of the Match in the last game will be crucial once again along with Vernon Philander, Morne Morkel and Kagiso Rabada. Keshav Maharaj will be the lone spinner for the hosts and may play a crucial role in the second innings. India: Murali Vijay, Shikhar Dhawan, Cheteshwar Pujara, Virat Kohli (captain), Ajinkya Rahane, Rohit Sharma, Wriddhiman Saha (wicket-keeper), Ravichandran Ashwin, Ravindra Jadeja, Mohammed Shami, Ishant Sharma, Jasprit Bumrah, Parthiv Patel, Umesh Yadav, Bhuvneshwar Kumar, Hardik Pandya, Lokesh Rahul. South Africa: Faf du Plessis (Captain), Hashim Amla, Temba Bavuma, Theunis de Bruyn, Quinton de Kock (wicket-keeper), AB de Villiers, Dean Elgar, Keshav Maharaj, Aiden Markram, Morne Morkel, Chris Morris, Andile Phehlukwayo, Vernon Philander, Kagiso Rabada. Duanne Olivier, Lungi Ngidi.